“The wonderful thing about jewelry is how it can transport the wearer back to a certain time or place when it’s slipped on,” explains Leslie Hindman Senior Specialist, Katie Guilbault. 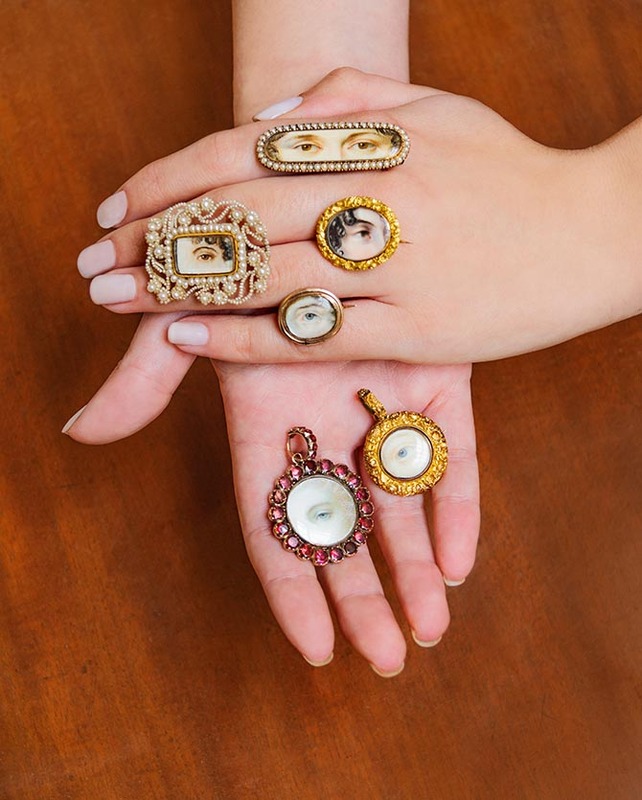 Just one look at some of the Victorian and Georgian items in the Important Jewelry sale at Leslie Hindman Auctioneers on December 3, 2018 will give you the sensation of a romantic past. 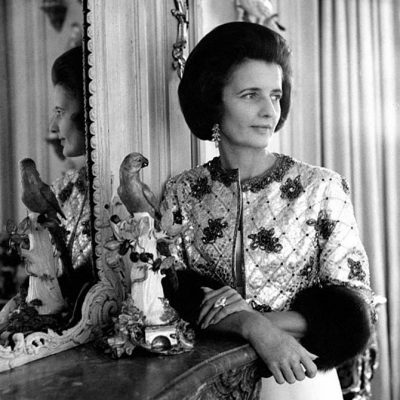 During these periods, jewelry symbolized so many different terms of endearment. It also represented a glorious souvenir of travel during the Grand Tour. While it can be difficult to find excellent examples of Victorian and Georgian jewelry with the enthusiasm of collectors who scour the market for both categories, Katie says at Hindman great pieces appear regularly. The Chicago based auction house, that was established in 1982 and has branches in different cities throughout the United States, is a go-to resource for old American families that went abroad or to New York City back in the day and brought home the jewelry. “Some of the things we see have been in the same family for 100-years,” says Katie. The fabulous creative team behind-the-scenes at Leslie Hindman Auctioneers styled a few of the pieces in photographs exclusively for The Adventurine. These images show just how cool and wearable the antiquarian aesthetic can be today. Read on to find out more specifics and history on some of the styles and highlights from the auction. See the jewels in person during the previews at Leslie Hindman Auctioneers in Chicago, Illinois from Thursday, November 29 to Sunday, December 2, 2018. The sale takes place on Monday, December 3 at 10am CT.
Tiffany went from opening its doors in 1837 to rapidly becoming one of the biggest names in American jewelry by understanding what its clients wanted. One thing they craved at the end of the nineteenth century was Etruscan revival styles that harkened back to work of the ancients. How did the New York based jeweler make pieces like the gold and banded agate Etruscan Revival necklace being sold at Leslie Hindman Auctioneers so magnificently? Founder Charles Louis Tiffany was an early Trustee of the Metropolitan Museum of Art. His support of the institution provided access to ancient treasures. The MET even loaned some of the jewels to Tiffany to study. Designers learned how to work in ancient techniques, but they updated the silhouettes of the new jewels making them slightly larger in scale for their clients. Jewels set with micromosaics were sophisticated souvenirs made for European travelers on a Grand Tour during the 18th and 19th centuries. The images rendered in teeny tesserae—tiny bits of glass—often depicted popular tourist attractions in Rome. 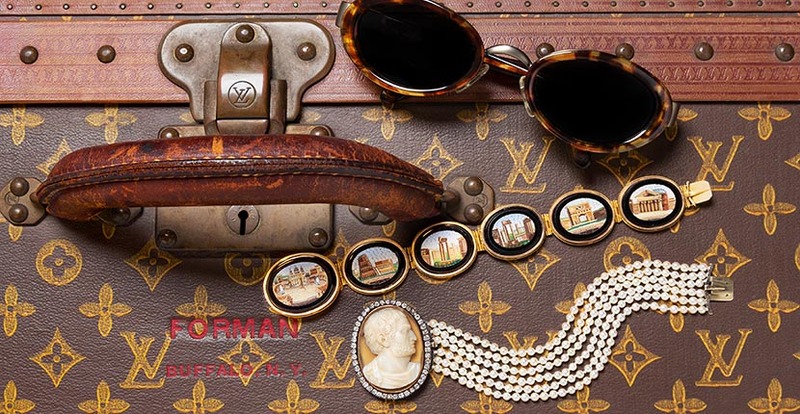 The bracelet at Leslie Hindman Auctioneers has micromosaics showing Saint Peter’s Basilica, the Colosseum, the Forum, the Arch of Titus and the Pantheon. The style of these jewels was originally inspired by the famous mosaic discovered on the floor of Hadrian’s villa in 1737. Jewelry set with cameos was wildly popular during the nineteenth century. Most engraved gems were made from some variety of hardstone agate like the elegant black and white sardonyx in the example at Leslie Hindman Auctioneers. Subjects included classical myths or figures such as the man wearing a toga in the pearl bracelet below. 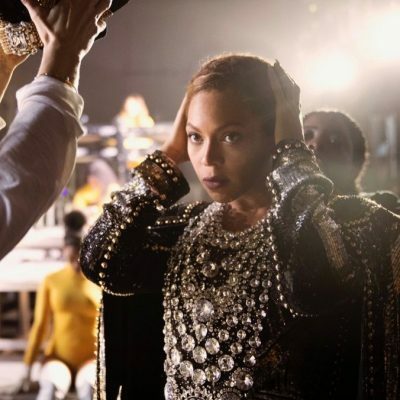 Members of royal families were immortalized in cameos. It was also a medium used for portraiture of politicians and other public figures. Sometimes cameos were carved of loved ones. 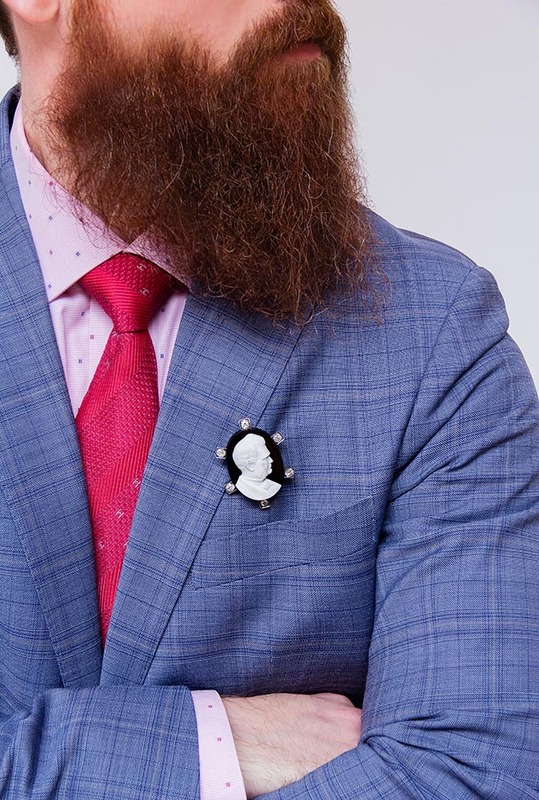 The nineteenth century man in the sardonyx cameo above has not been identified, but he is svelte with clearly carved hair and mutton chops not to mention a stylish suit. Jewels with small miniatures depicting an eye, dubbed Lover’s Eyes, were popularized at the end of the 18th century when the young Prince of Wales wore one under his lapel. There was a secretive element of just the eye in the portrait because his sweetheart was a Catholic widower, Maria Fitzherbert, who he was forbidden to marry. The allure of the jewelry style caught on and became fashionable among society. The miniatures come in an array of gemset styles. They often include a lock of the lover’s hair on the back. Cluster rings or designs featuring gems surrounded by smaller stones were one of the most fashionable styles of the Victorian era. They were sort of a forerunner to today’s halo setting. 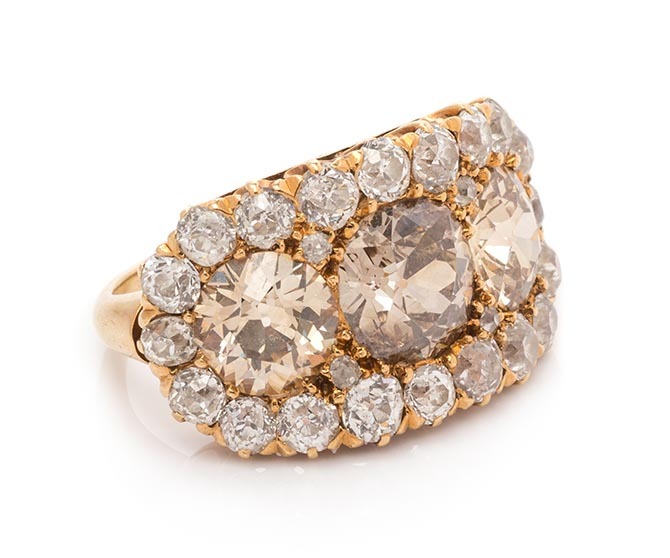 The horizontal cluster ring at Leslie Hindman Auctioneers features three Old-European cut colored diamonds weighing just over 3-carats. The small size 3 of the ring means it would make a sensational pinky ring. *This post was created in partnership with our friends at Leslie Hindman Auctioneers.